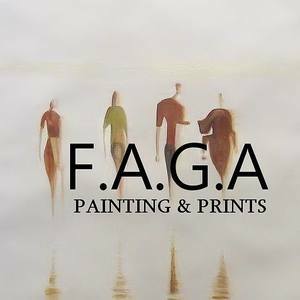 Welcome to our page FAGA ART, serves as an art gallery in Israel. Located in the prestigious northern sector of Tel Aviv. All meticulously selected to suit the demands of art connoisseurs and enthusiasts alike. In an effort to obtain inimitable works, FAGA ART has established an ongoing collaboration with a wide array of museums, galleries, renowned artists, private collectors, art foundations, bringing you the best artist and in Israel FAGA ART serves as a platform for artists and collectors that wish to display their pieces within the gallery. By doing so, FAGA ART offers the artists and collectors the possibility to enjoy exposure to the gallery’s wide number of followers.